They are your own personal group on microbes localized mostly in your large intestine, the colon. They become associated with us while we are in the womb, increase in number during vaginal birth and stabilize as we begin to eat solid foods as a child, growing with us and diversifying based on a number of factors mostly environment and diet. They help digest what we feed them and they protect us when in a normal steady state. They bio-mathematically number over 40 trillion cells and add an average of an additional 600,000 genes to each human being. If your gut feels okay, they are most likely stable. What they eat is important as they are processing it for us. They eat pre-biotics. “What is a prebiotic?” you ask. They are “dietary substances that positively influence the beneficial microbes and confer health benefits to the host”, us. The best example is fiber. That is one of the main reasons increasing fiber in your diet is good for you. It reduces the risk of certain cancers and is beneficial in reducing cardiac risk as well, both, when included in a regular regimen of physical activity. Let’s check the glossary. Consider it your Berlitz guide to better nutrition. Whole Food: an unrefined food, such as a single vegetable or piece of fruit. Processed Food: the physical altering of whole food, which can include the addition of by-products, or other processed materials, in the final product. Organic: grown without the use of synthetic fertilizers, pesticides, hormones or antibiotics. In order to be certified by the USDA, the producing farms must demonstrate their products are as such. 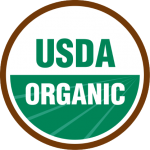 Look for the green and white circular “USDA/ORGANIC” emblem. Conventional Foods: a less expensive production process that employs the standard use of pesticides, synthetic fertilizers, antibiotics and hormones. The nutritional value is less than organic products. The slightly higher cost of organic products can be offset by the increased health benefits and requirement of less food ingested to confer both better satiation and nutritional value. All Natural Foods: contain no artificial flavors, sweeteners, preservatives, or colorings. They are found in both conventional and organic products. Genetically Modified Organisms GMO: the genetic modification of a plant, animal or other organism conferring qualities that make them more resistant to the environment. The task of production of GMO products is lessened, but the health implications of DNA modification are yet to be realized until further studies are completed. This could be better to keep in mind when choosing a probiotic product. 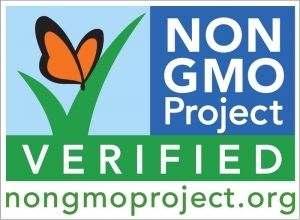 Look for the Butterfly Emblem with “NON GMO Project VERIFIED”. Getting a little education can go a long way in finding a better way to eat. There are numerous approaches to this and as consumers we tend to get overwhelmed by the ads and hour long webinars hoping to sell a magic product, when all the information you need, is right in front of you at your grocers or local restaurant. Discovering how it relates to you specifically is the key. As part of your continued General & Preventive Internal Medicine ongoing care I have included state of the art Nutritional & Lifestyle Consulting geared at optimal health for all interested. Through these new organized approaches, one can improve chronic conditions and help avoid many metabolic syndromes thereby improving Quality & Quantity of Life Ask me how it might help you.